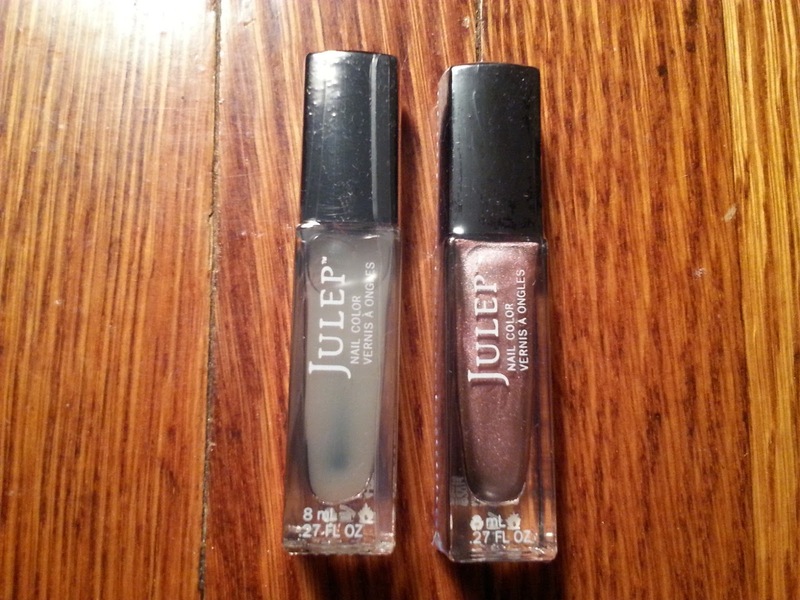 Today I want to show you the super discounted goods I got from Julep's Warehouse Sale! Some of these items were almost 90% off!! 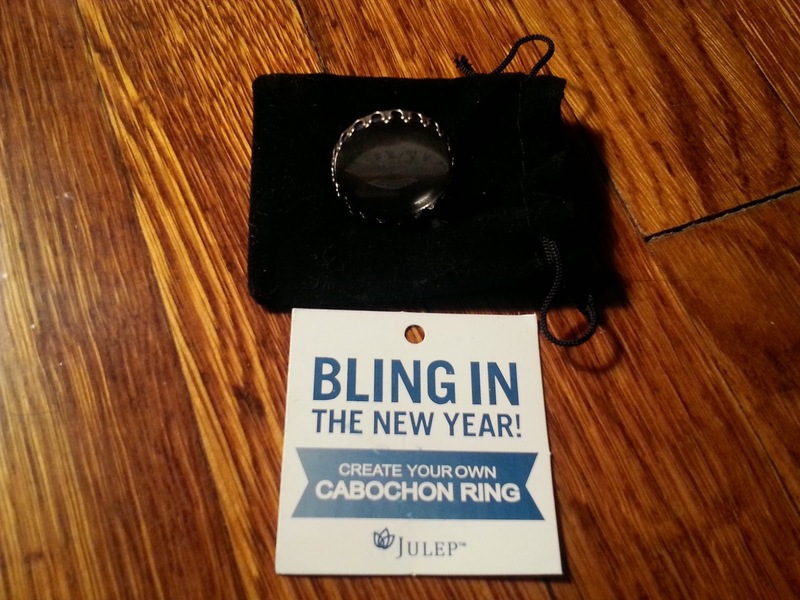 But the first item I will show you is something I actually purchased from Julep when I bought my June Mystery Box! 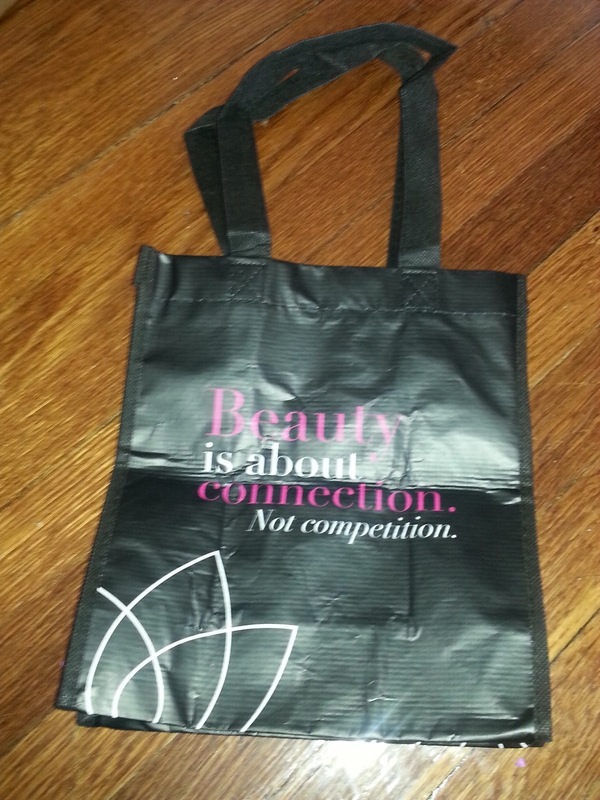 This bag was rated very highly and it's a pretty large cosmetic bag as the website suggests. However, upon seeing it in person I was found I didn't like the look of it. There is nothing wrong with the bag and I feel it does resemble the picture on the website, but sometimes you just have to see the real thing. 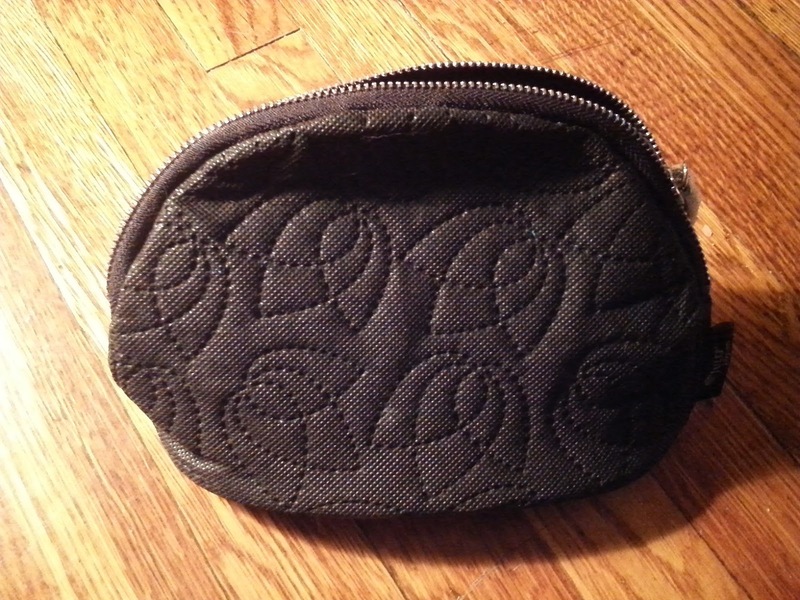 I plan to give this bag away since I'm sure someone else would love it. As most people know you should change your eyelash curler pad every 3 months, but recently I read that you should also replace the actual eyelash curler every 6 months! I've never heard of this before!! Did you know about this?? Seeing as I'm on my second pad, I will be in need of a new curler soon!! And while I have a supply of mascara to last me the rest of the year, I figure I can always re-gift the mascara if I don't end up using it. I didn't quite understand what this was when I purchased it, but it was only a dollar! 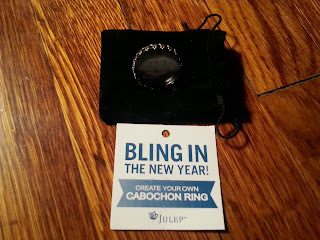 After receipt, I found out you polish the stone in the ring to create your own Cabochon Ring-which is so cool. This will be a nice little DIY project and I'll have something unique to wear afterwards to show my love for polish!! 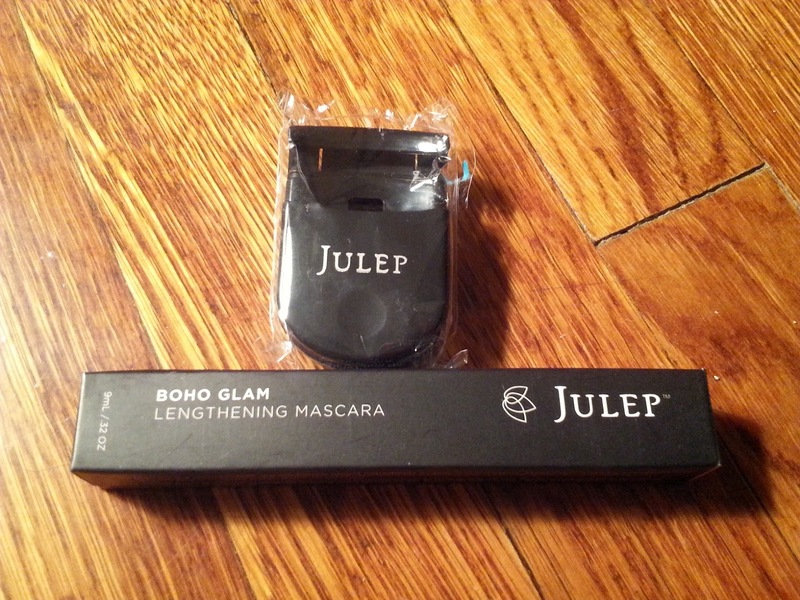 Since I loved Julep's Fresh Citrus Skincare Set so much, I just had to try out this set! 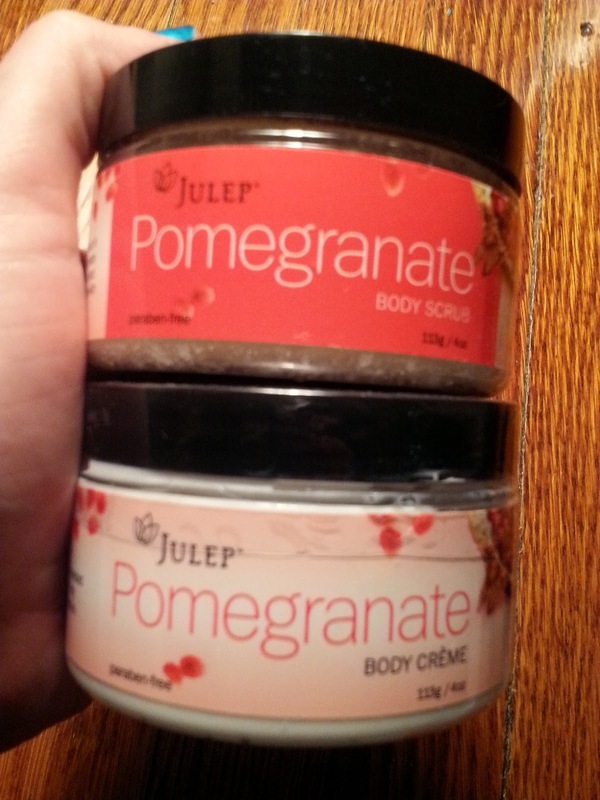 I love pomegranates and exfoliating, so this is the perfect combo for me! The body scrub and crème were sold separately, each retailing for $18. However, due to the Warehouse Sale, I got these on sale for $2 a pop!! Talk about savings!! The deal was so good I stocked up and got a second set. I'm not sure if I'll keep the extras as back up or give them away for someone else to indulge in. 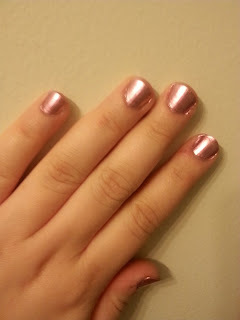 I don't currently have a matte coat polish since I typically prefer my nails shiny, but I figured I'd switch things up. I'll post some swatches at a later date when I test it out. However, I've had my eye on Maria since I've become a Julep Maven a few months ago. I finally grabbed it during the sale and I love it more than I thought I would! 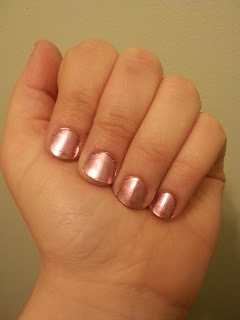 It's a gorgeous shimmer shade, which is best seen outside!! I wish my pictures could capture the beauty of Maria in the sunlight. You will just have to trust me and grab a bottle for yourself! 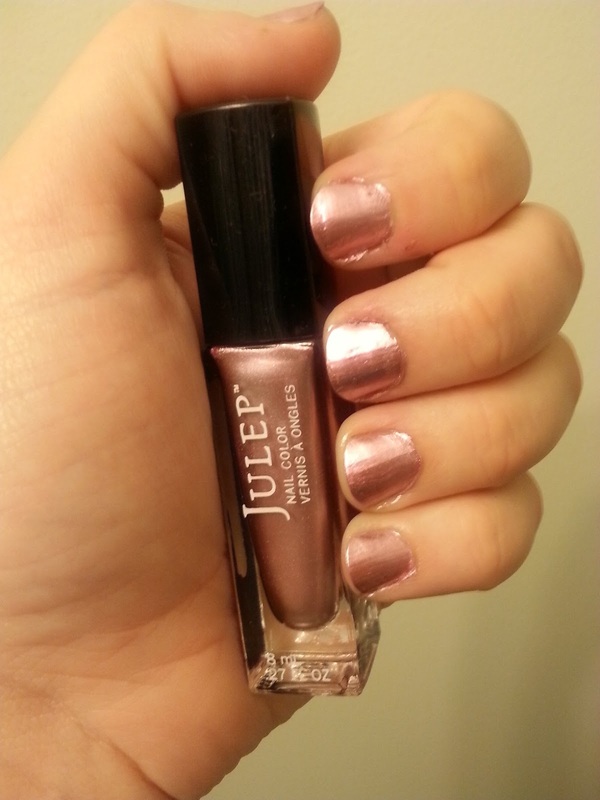 So far this has been my favorite polish from Julep!! 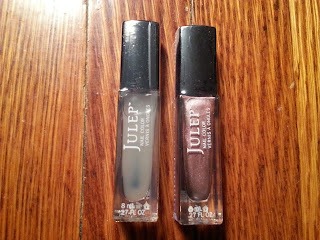 What do you think of my latest Julep purchase? What did you get from the Warehouse Sale? Do you change your eyelash curler every 6 months? What type of curler do you like to use?